The Lovely bride Leah sent me these photos of her wedding day. 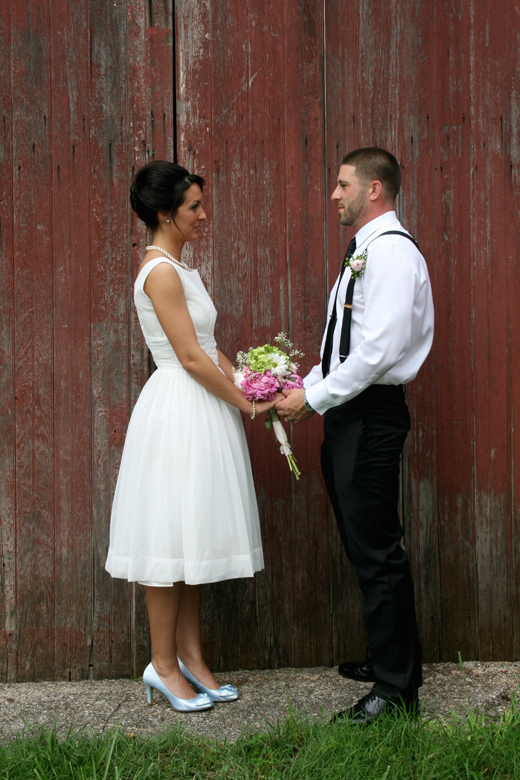 She looks beautiful wearing this vintage 1950's chiffon dress from our shop! It's so fulfilling to see customers wearing their purchases. Leah's wedding was filled with vintage elements, from mix max china dessert plates to hay bales covered in vintage linens. 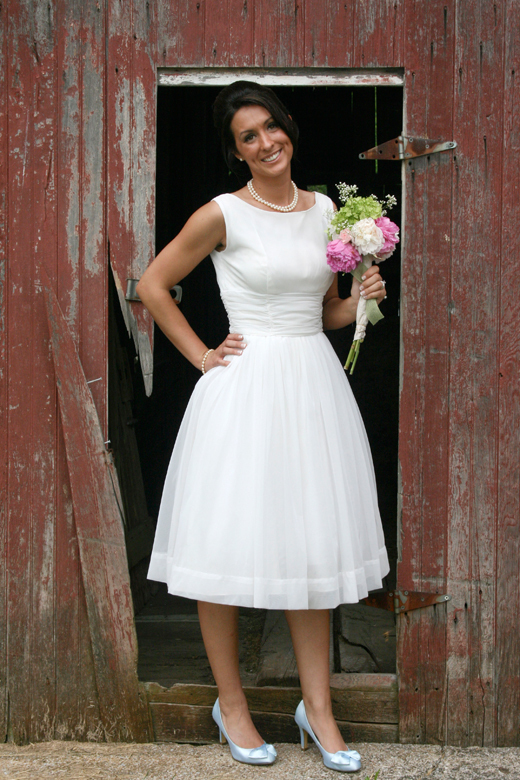 In Leah's words: "Thank you for making my day so special...in this dress and because of you, I felt truly beautiful."